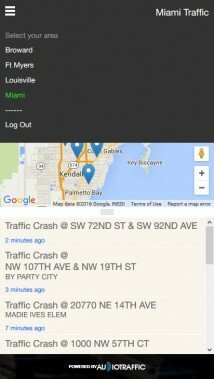 Traffic Center provides America’s most authoritative and detailed news reporting on traffic accidents. 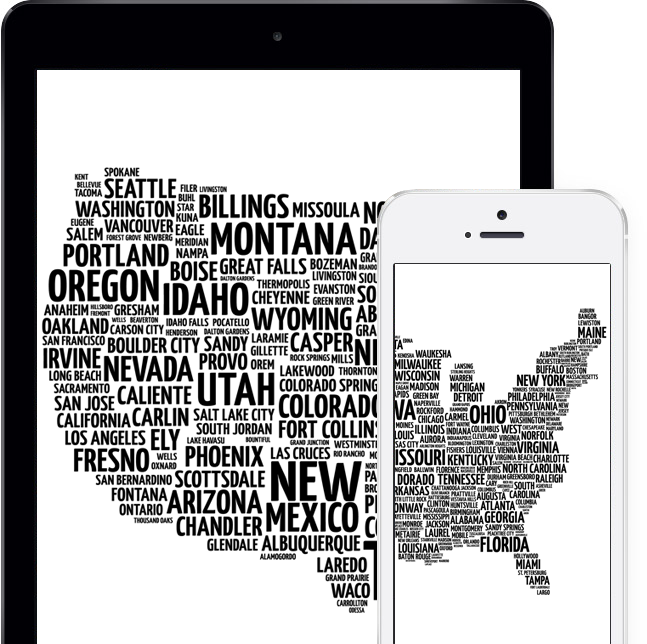 Every day we provide readers throughout the USA with detailed news & information on traffic accidents in their communities – posted online with speed and accuracy. 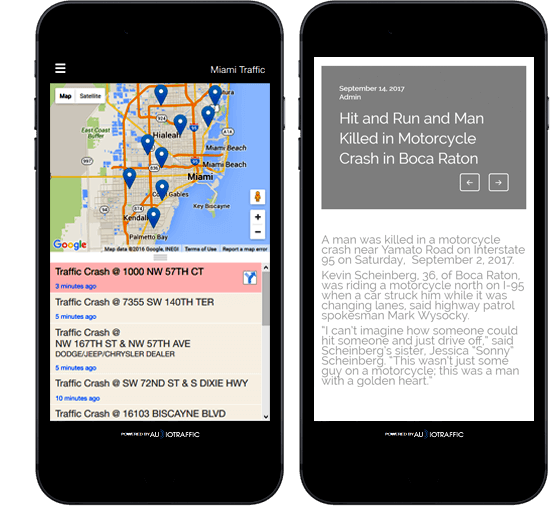 With detailed news reports posted every hour, our traffic accident news coverage is the most comprehensive in the news industry, providing readers with the news & information they want – and advertisers with targeted results they need. Readers want information about traffic accidents: Their accidents, accidents involving friends & loved ones, or accidents they saw while driving. Accident news is the #1 most read news feature in America – surpassing all others. 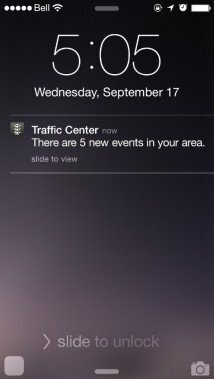 Including Traffic Center traffic accident news in your online advertising campaign is a powerful and cost-effective way to reach your auto/accident/insurance industry target-market. 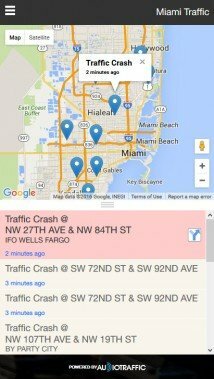 Linking traffic accident news articles from Traffic Center to your business or professional website, provides powerful, new traffic to your site. Within minutes of an accident or disabled vehicle event subscribers are notified with a sound and visual notification, then directed to the apps detailed map that provides you with an incredible array of information. 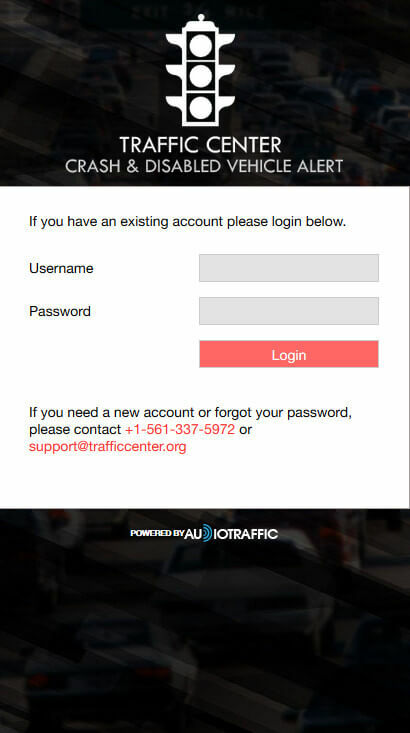 CDVA utilizes exclusive, proprietary technology that fuses data provided by law enforcement, traffic systems, responders and other sources to provide subscribers with instant notification of all crashes and disabled vehicles in covered areas. The Traffic Center crash and disabled vehicle notification system is available in all 50 states and the District of Columbia. Information includes: crash or disable vehicle designation; the street address/location, longitude and latitude of the crash or disabled vehicle; and, other relevant data. Our technology captures over 90% of all accident and disabled vehicle locations, providing subscribers with an unparalleled opportunity to know when and where motorists need help. 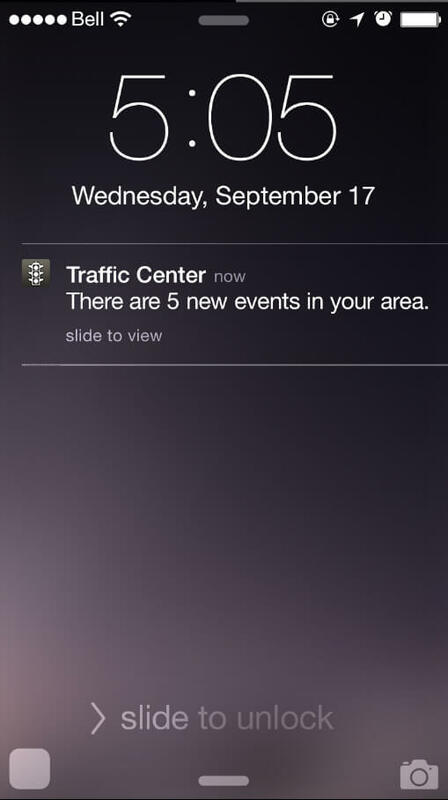 Let us tell you more about how the Traffic Center app powered with CDVA technology gives subscribers the power to know when and where accidents or disabled vehicles occur in their area. Call Us at 561-275-5055 Ext. 702 or email koch@audiblemediagroup.com.